I have to start with this fantastic Mel Brooks film. Gene Wilder plays a great Dr. Frankenstein who goes to Transylvania after inheriting his family's castle and joins the family business creating Peter Boyle as the monster who "puts on the ritz". A great funny movie and my first choice for tomorrow night. Watch, laugh, enjoy. This 80's rendition of this comedy musical is fantastic as well. Starring Rick Moranis as a nerdy florist looking for love finds help for a man eating plant. The cast includes Steve Martin as a sadistic dentist, as well as John Candy, Bill Murray and Jim Belushi in roles. 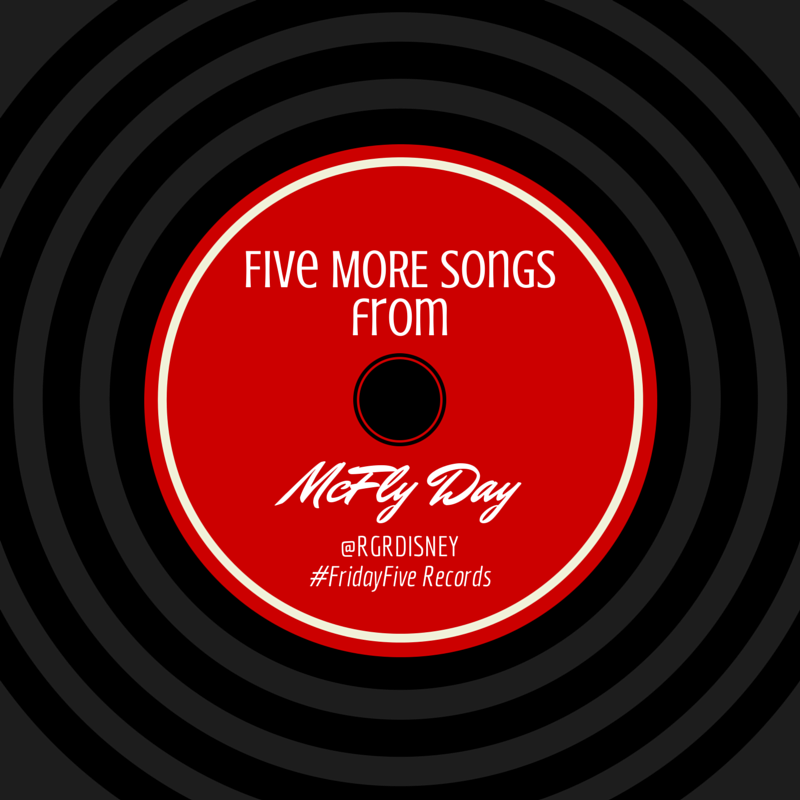 Hilarious songs and plenty of "Feed Me, Seymour". Next, I'll go a little more current (though still 10 years back) to Shaun of the Dead. Described as a "Romantic comedy. With zombies." says a good bit about this movie with Simon Peg. Above all else, the go for the pub, a great plan when a zombie break out occurs. Simon Peg and Nick Frost work great off of each other and beat up some zombies for a good time. This movie version of the classic TV show was version that really worked. That doesn't always happen with a TV to movie jump. The cast was fantastic, featuring Raul Julia, Anjelica Huston, Christopher Llyod (great scotts!) and Christina Ricci. They all came together perfectly for this hilarious film. Though from 1991, it's even aged well, so a solid choice to enjoy. 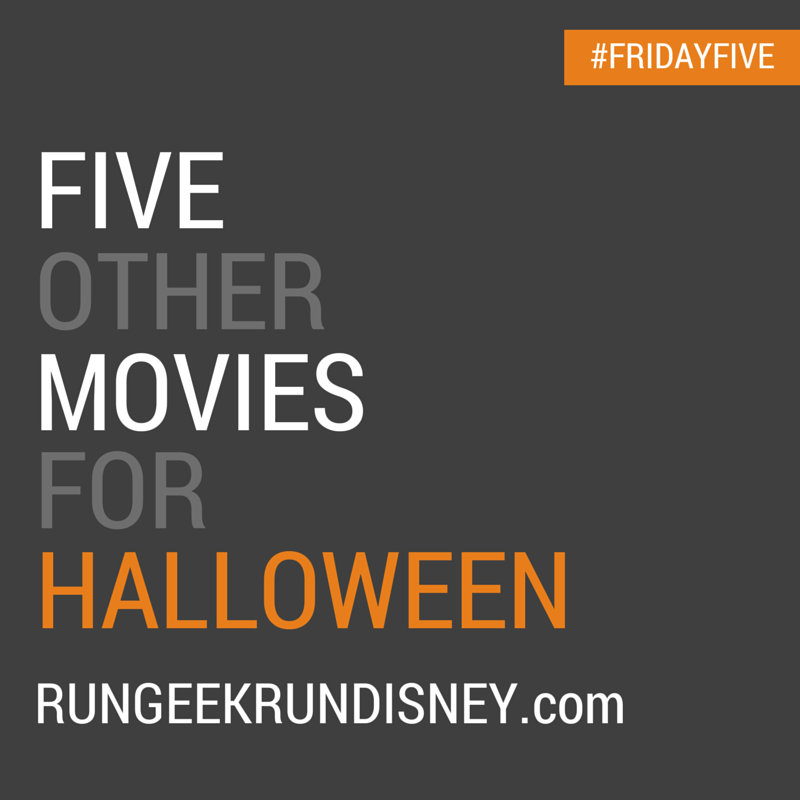 Finally, I wouldn't feel right with Disney in my blog name if I didn't pick a Disney movie for this list, so that honor goes to the cheesy but lovable Tower of Terror. Starring Steve Guttenburg and Kirsten Dunst as a reporter and his niece trying to solve what happened in the Hollywood Tower Hotel 60 years earlier. This movie tested the waters for Disney converting rides into movies, and went well enough to be followed by movies such as The Country Bears, the Haunted Mansion and of course Pirates of the Caribbean. So if you love Captain Jack Sparrow, watch this movie as a thank you. And come on, it's got Mahoney and Mary Jane. The opportunity to run this race recently fell into my lap. I have my daughter to thank actually. We were purchasing a plethora of My Little Pony items for her birthday party when the unexpected happen. We spent over a magical dollar amount that earned me a free entry to do a zombie obstacle course. Felt random but free? Yep, it's for me. 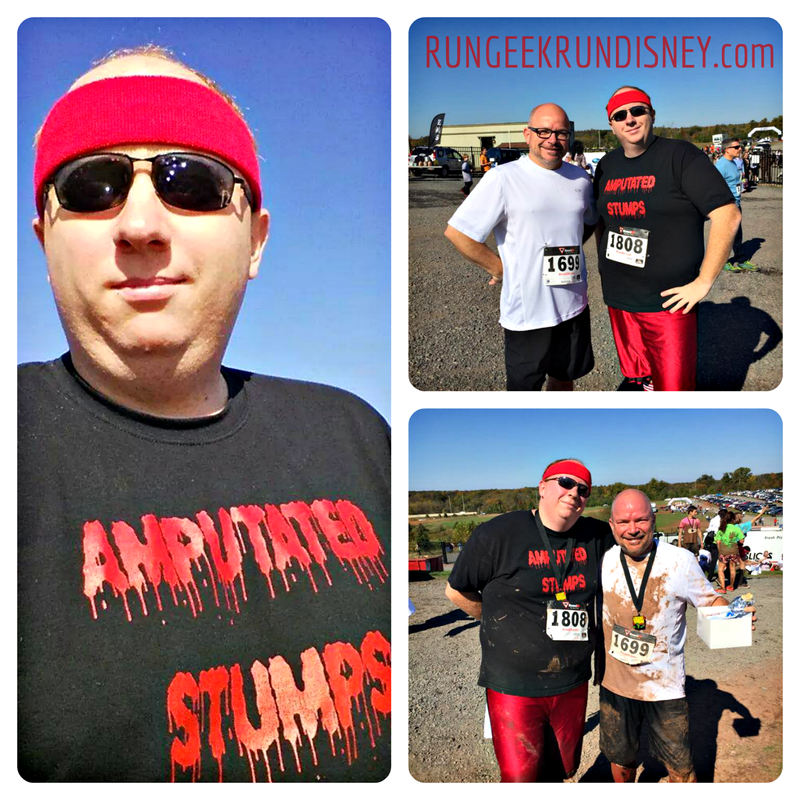 Zombies, Obstacles and Mud, Oh My! The Blood and Guts Run is a zombie themed obstacle course 5K. The zombies were minimal impact. They lined the course sporadically: some lumbering slowly down the path, some coming out of tall grass to scare you, some chasing you from behind to startle you. There were some nicely done zombies, but they had little impact to the race. There were several stations that were zombies squirting you with "blood", but the water wasn't even red by the time we got there, and we were one of the middle start corrals, which was disappointing. Some people costumed up for the race which was nice. There were people as zombies, general Halloween costumes and some zombie slayers. I saw one girl with a corset zombie killer outfit on - complete with two play guns strapped to her back - that was pretty sweet as well as a little 3 foot tall Captain America. You get 'em, Cap! They came in all shapes and sizes. I opted to use this as an opportunity to break out my team shirt from my intramural softball team in college: the Amputated Stumps. It just felt appropriate. The obstacle course was fun but just challenging enough. It was not (and nor should it be) on par with an obstacle course on the level of say a Spartan Race or Warrior Dash, but I wouldn't expect or want it to be. There was a fairly large number of "up and overs" as I'd call it: small wall, tall plank walls, inclines with ropes, etc. Spread throughout the obstacles were muddy patches. I say it that way for a reason. 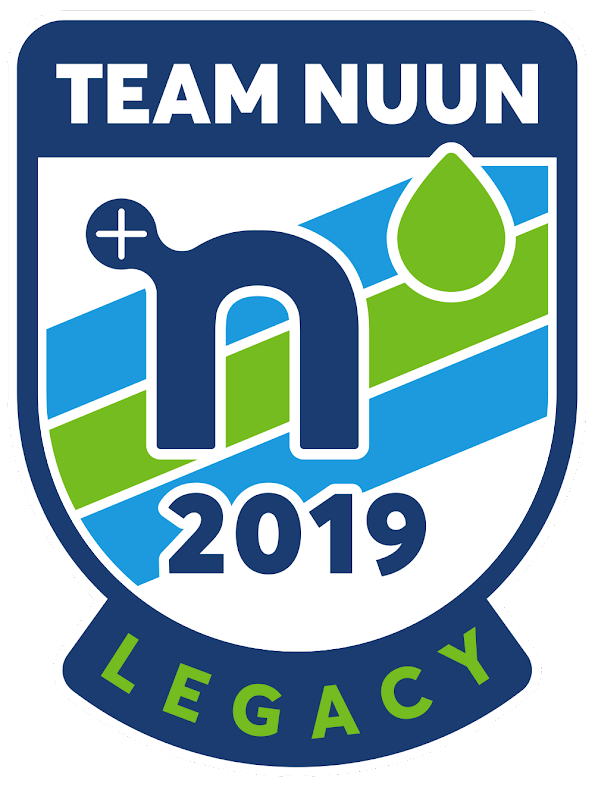 They didn't feel like enough to be an obstacle or a part of the race like a mud run, but were more than just mud developing from all the runners in that portion of the field. It felt more like someone decided "Hey, let's mix it up. Hose down the straight aways so it gets muddy." I'm not saying that's the way it was carried out, but just how it felt at times. It didn't always seem to server a purpose, nor did it feel like it was thought through to balance the amount of water properly to get good mud as opposed to just muddy and flooded areas. Some parts were fun to run through but some took away from the experience. I ran this race with my namesake John. We had a blast on the course and I enjoyed the company to chat while we ran. My favorite story has to be the army crawl section. One obstacle was simply called the army crawl: netting set low to the ground over mud that you were meant to crawl through. One side was all water while the other was mud. Naturally, most people (including us) chose the mud side. When you got down in it, we'll just say it smelled "country" so we did hands and knees as opposed to down on our chest. We come out the other side and John makes the remark "What, you didn't army crawl? Where's the mud?" Just as he finishes, karma hits. He slips falls straight down on his back. He gets up, does a little slippy slide and back down again, this time on the front. Covered in mud. Oh so funny. I of course didn't dare laugh until I was across the puddle though. He's faster than I am, so really helped push my pace early on. It felt good and I kept pace, but by the end I was gassed and let him finish strong ahead of my slower pace. After finishing the race, you were greeted with a nice little medal and your cotton t-shirt for finishing. Pretty nice swag for a small little 5K. As you walked down further, they gave out protein bars. Not one, but one box full. A nice unexpected bonus. From there, we wanted to hit 2 important things (after hosing off some mud): the food trucks that smelled so good and the beer garden. We had an 11:30 am start time, so it was perfect time to eat. We chose a truck that smelled wonderful: the Urban Bumpkin BBQ. The whole menu looked fantastic. I chose the Alaskan frybread taco, with Asian beef brisket. Oh my goodness did I choose wisely. I had several people telling me after seeing mine they were mad they ordered anything else. I was not disappointed. It was well worth however many points it would cost me, not that I bothered trying to find out how many it would be. From there we took our food to eat in the beer garden, featuring 3 craft brews: a pumpkin beer, an IPA and an amber ale. I can't remember where they were from, but I know at least one (if not all) was local. Nothing like a food truck plate and cold beer to celebrate the race with. I had a really good time on this race. I wish I had been running more recently so I wasn't so gassed at the end, but I enjoyed myself. It was just tough enough without being overbearing. It kept its fun. The main downside was the odd thing about the mud that I mentioned. I have no problem with it being "an obstacle" of the course but it felt so haphazard that it was hard to enjoy. It felt less of a challenge and more of an hinderance to the rest of the race. I was pleasantly surprised to earn some bling and had a good time. Weather was perfect, and the course route was nice. I enjoyed and would do again. Did I have a fun time doing it? Yes, survey was provided via email immediately following, which was nice touch. 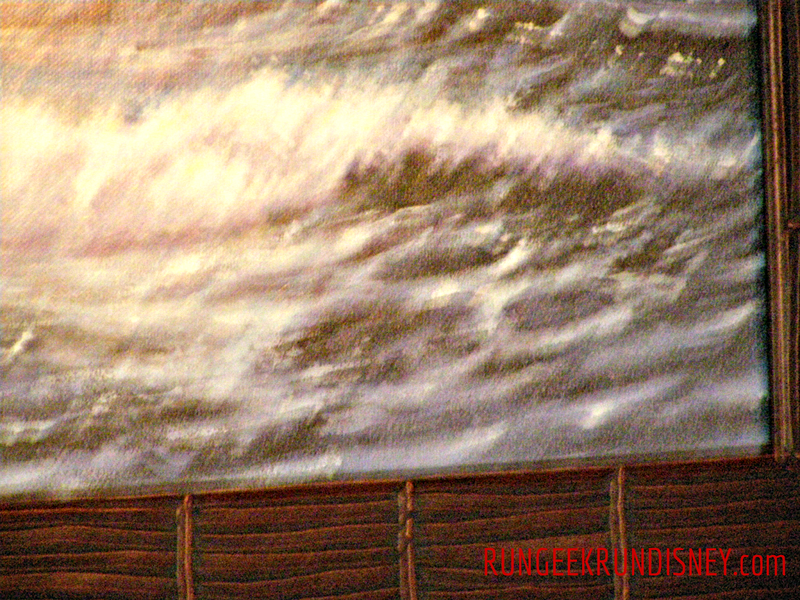 I didn't originally plan on writing this post for this week, however I was going through photos from past Disney trips and came across a particular set that made me decide to switch to this visual post for the week. I previously wrote a post about Hidden Mickeys. 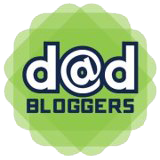 If you don't know what they are, go read this post first. Welcome back. I love hidden Mickeys. I mentioned in a comment of the previous post that some of my favorite are in the artwork. 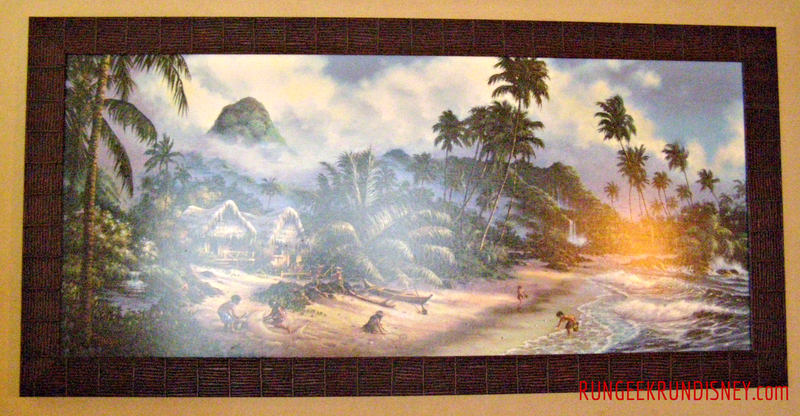 I have several pictures of some found in artwork previously hung the Disney's Polynesian Village Resort rooms. They have recently been renovating the rooms, so I can only assume - like the lamps and other furniture - that these paintings no longer hang in the guest rooms. 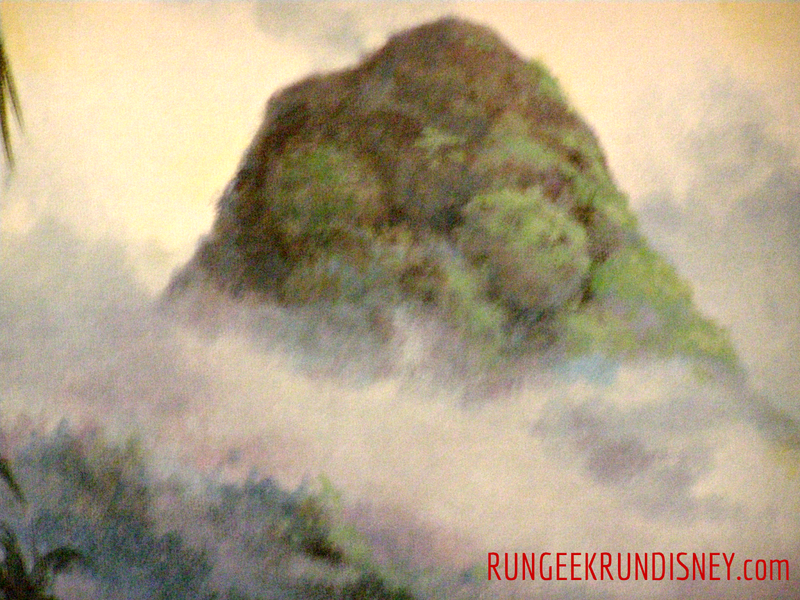 Gaze into the mountain's majesty for our first hidden Mickey. The next "natural" Mickey occurrence lies in the waters. 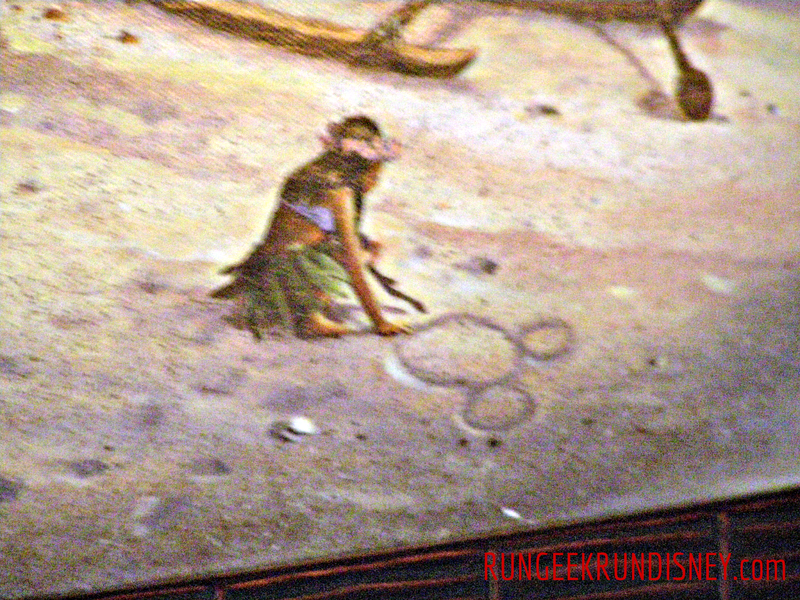 Our last hidden Mickey, as created by the island imagineer. I hope you enjoyed seeing some more of the imagineer at work. I love these hidden Mickeys. And if any of these artworks are sitting in a hotel surplus store somewhere, let me know. I want one. Kids don't run to lose weight or to beat a time or to achieve a heart rate. They run to have fun. We should all do that. When my daughter says "Daddy, let's run" and she heads off down the sidewalk, there is nothing but joy as she giggles while her tiny legs carry her as fast as they can down the path. Pure happiness. I'd love to have that every time I run. Kids don't care. 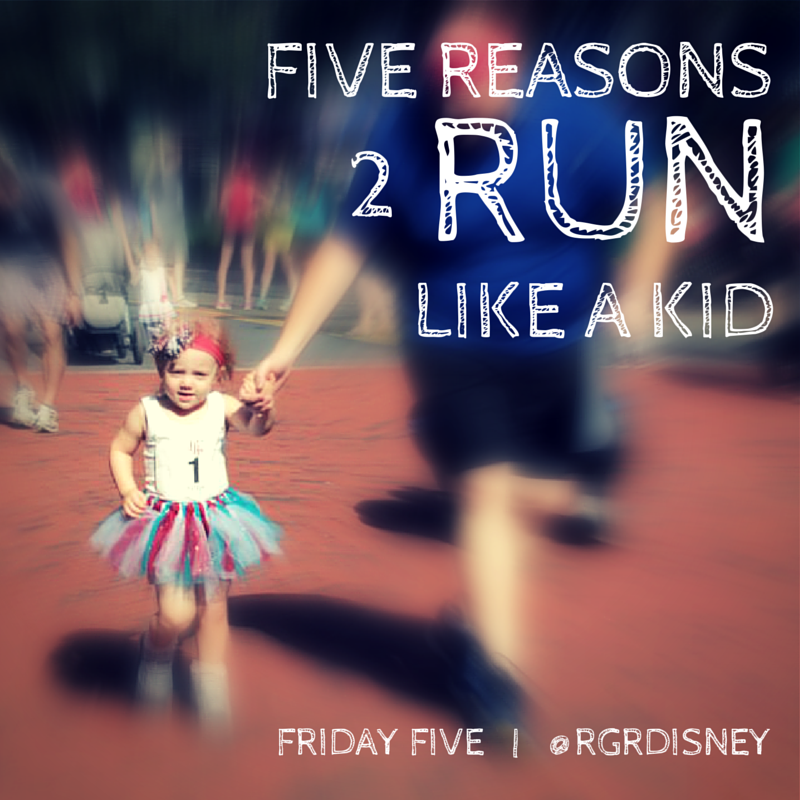 They will wear and run, jump, skip, hop and roll in whatever their heart desires. Cape? Who wouldn't love to run in a cape? I want my own running cape. Princess dress? Tutu? It's all fair game. That shirt and those pants? Sure they're opposite ends of the exceedingly bright spectrum, but let's get out there! Kids don't plan. There's not a set schedule to them. Want to run? Ready, set, hey, I didn't say go yet! That's kids. Yes, to run a long distance, you need the proper training and the right distances to build up your endurance. You can't go all willy nilly, but you can let loose. You need to remember to not get all caught up in "the schedule" and remember number 1 and have more fun. Go run... whenever. Kids don't hold back. Have you seen a three year old run? They put everything into it. Full body, full throttle, run until you can't move another step. It goes back to number 3 and the planning. They're not concentrating on this many miles at this pace followed by.... They go full bore. Two gears: stop and warp speed. 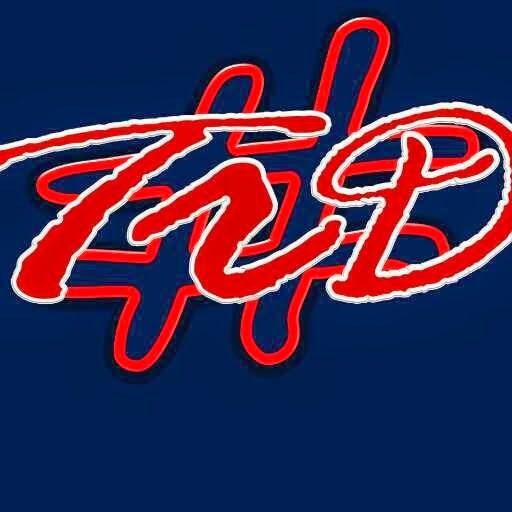 Watch a kid run and try to mimic that effort. You will stop with a "wow". It's its own kind of speed work. Kids don't worry. We could all learn to be a little more carefree. This circles the list back around to number 1, but is still important. I love the feeling when a run just lifts away the stress and clears my mind. However, I need to really remember to let go and let that happen more often. Kids do that naturally. Well, most of the time. Then 15 minutes later it will be the end of the world because they forgot the water cup was the wrong color, but they'll brush that life altering event off too. That's right, I made it to Round 2!!!! I'm so excited! I'm nervous but excited. Tomorrow I'll find out what Round 2 holds, which will be followed by a second waiting game, but today, I'm all smiles. 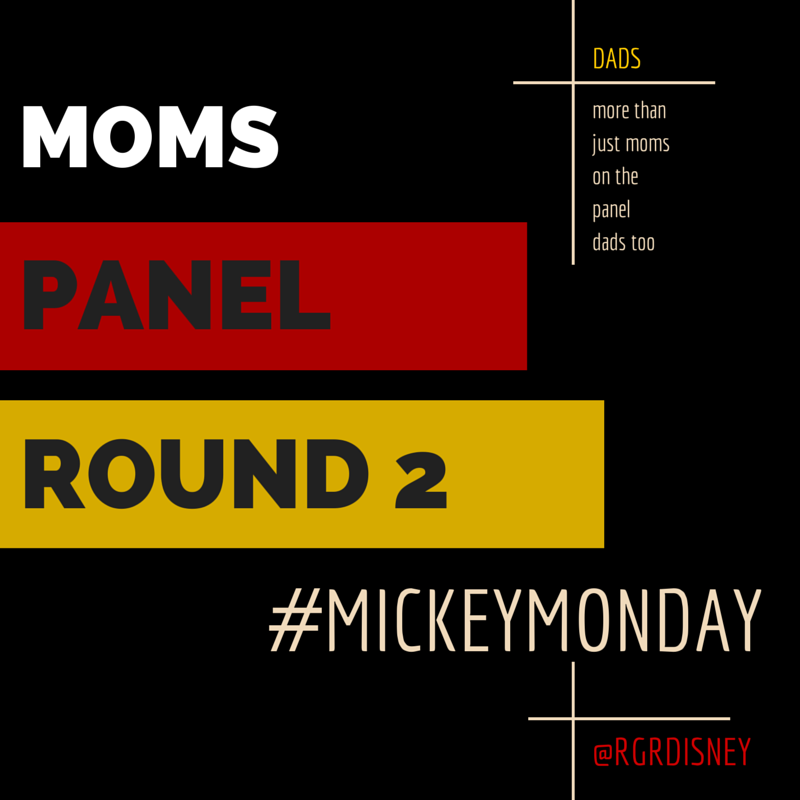 Want to know more about the Disney Parks Moms Panel? 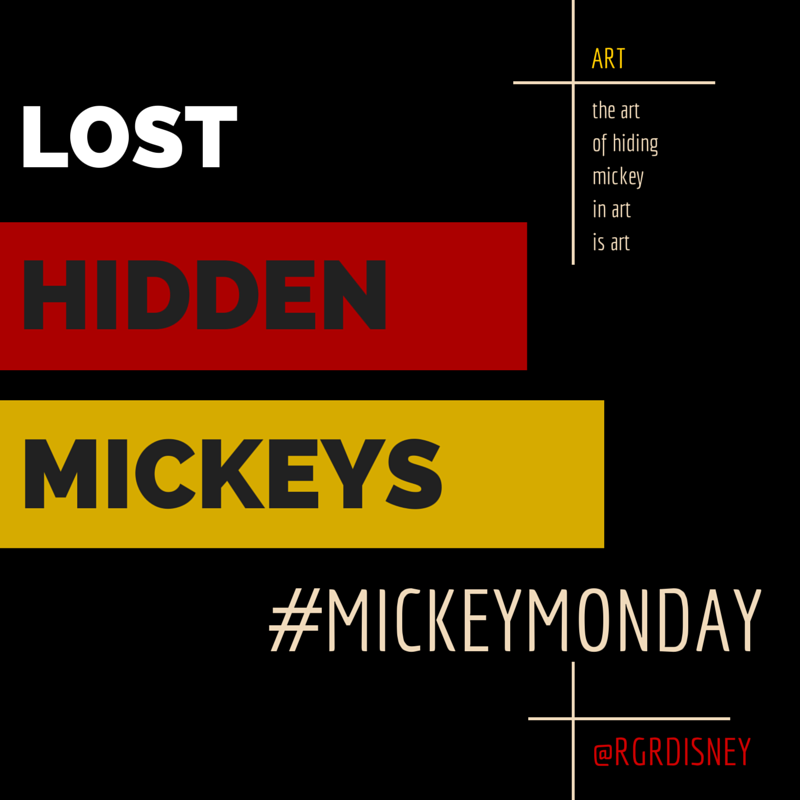 Check out my previous Mickey Monday post or go to the official site. This really is a food with a cult like following. It's a real thing. There are certain foods like that found at Disney (and beyond). From Disney, the first ones that come to mind, after the Dole Whip, would be turkey legs, churros, school bread and maybe throw in citrus swirl. Heck, I've seen Disney made shirt for turkey legs and churros, so that shows you their following. 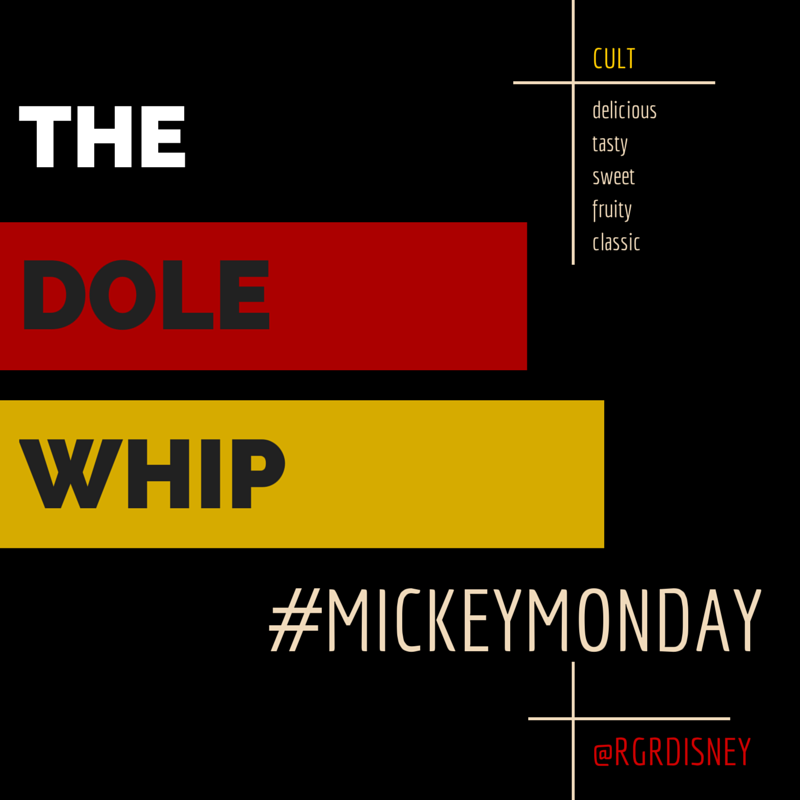 The Dole Whip is a pineapple soft-serve treat found in the Magic Kingdom, Disneyland and Disney's Polynesian Village Resort. I had long heard of how "amazing" it was and how it's on many people's must have list for every visit. 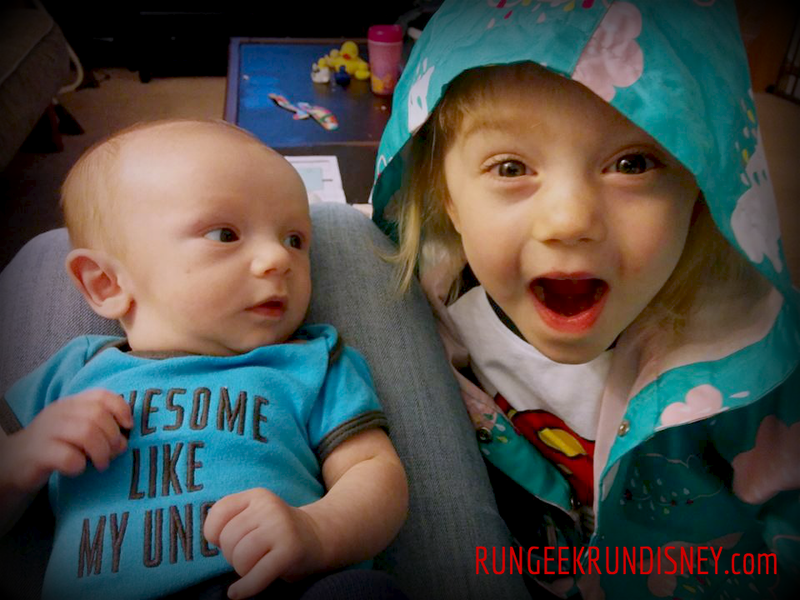 On my last trip to Walt Disney World, for Walt Disney World Marathon Weekend, I decided to finally find out what it was all about. I went to Aloha Isle, found in Adventureland in the Magic Kingdom. There they serve up the Dole Whip in a variety of flavors, offering pineapple, orange, vanilla and swirl flavors. I thought if I was going to try it, I was going to try it the right way and had to go pineapple. I was not disappointed. It was tasty, refreshing and just the right amount of sweet. I love fresh pineapple so I enjoyed the flavor as well. It was a great treat. I'm not going to say it "rocked my socks and I'll never eat any other sweet again" but I did enjoy it a lot. It will be added to my list of foods I want to get every trip, much like fish and chips in EPCOT or 10 o'clock ice cream. If you want to know what kind of following it has, it even has it's own dedicated running shirt from One More Mile: Will Run for Dole Whip. 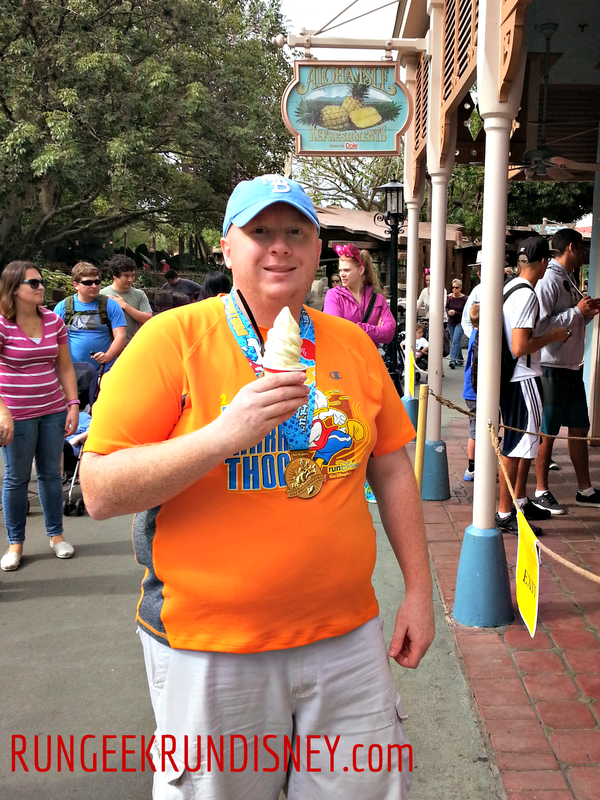 I've read previous recaps for runDisney races and can also see how that would be a great mid race hand off snack to get you through the course. It would definitely taste good on a warm run. Next time you visit, give it a try. You might just love it too. Join the cult, we have lovely treats. 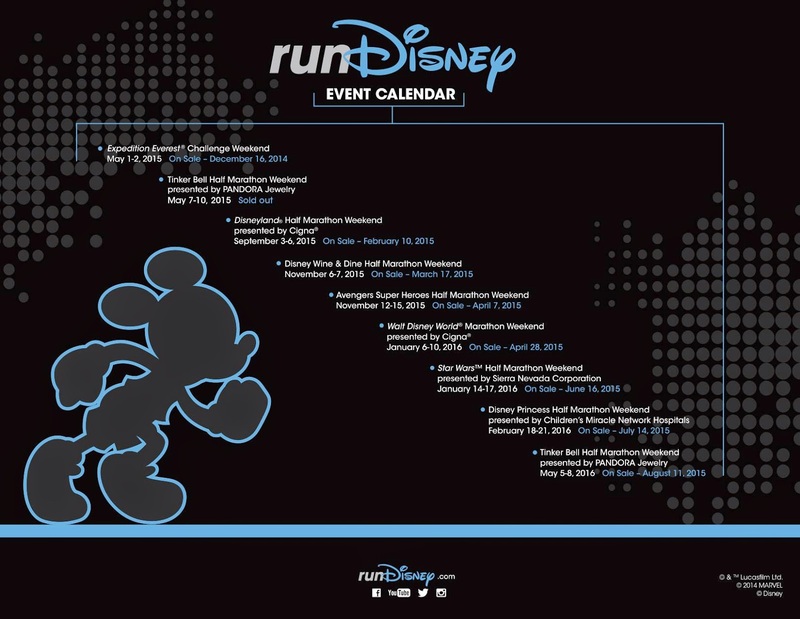 So, in case you missed the post and delete yesterday and the official post today, the runDisney schedule for 2015 / 2016 was released, showing when registrations will be. The schedule starts with races not yet on sale for 2015. That has been long overdue and needed. However the big controversy is that Twilight Zone Tower of Terror 10 Miler is MIA. runDisney hasn't yet come out and officially address ToT. The general thought is they're canceling it (maybe only temporarily) due to the construction that will be ongoing (rumored to be Pixar Place and Star Wars Land). It could be they are still addressing whether or not to run it, course adjustments needed, etc. Now, Wine & Dine goes through Hollywood Studios, so it would need an adjustment as well. The difference is that the after party for ToT is in Hollywood Studios. They haven’t officially address ToT not being on the schedule, which from Expedition Everest not being on a hand out only to still be run, you would think they would learn their lesson. The closest to a response I’ve seen so far is this response to a tweet asking them to explain why ToT was not there. "We regularly evaluate our race experiences from time-to-time and make adjustments based on a variety of factors." Now, they haven’t said “Yes, we cancelled it”, but seems pretty darn close. They still left it a little ambiguous, in that they could be in evaluation. You need to be clear in PR people. Now, if it is cancelled, I’m unhappy about this. We just booked our trip for next year for my daughter’s and wife’s birthdays. We specifically aligned it to fit what would overlap both ToT and the little one’s birthday. As you can tell from looking at the schedule, you have to plan far in advance to go to races. Yes, we’re looking a full year in advance but it’s something that’s been reliable. ToT is 1st weekend in October. It’s also unique in that it’s a night race and very villain centric, that you don’t get in other races. Even if I wasn’t planning on running it, I’d still hate to see it go. Hopefully, runDisney put something out specifically address Tower of Terror to end the speculation, because I really don’t want to read it any more. I just want to know whether or not to be bummed, though I'm not holding my breath. 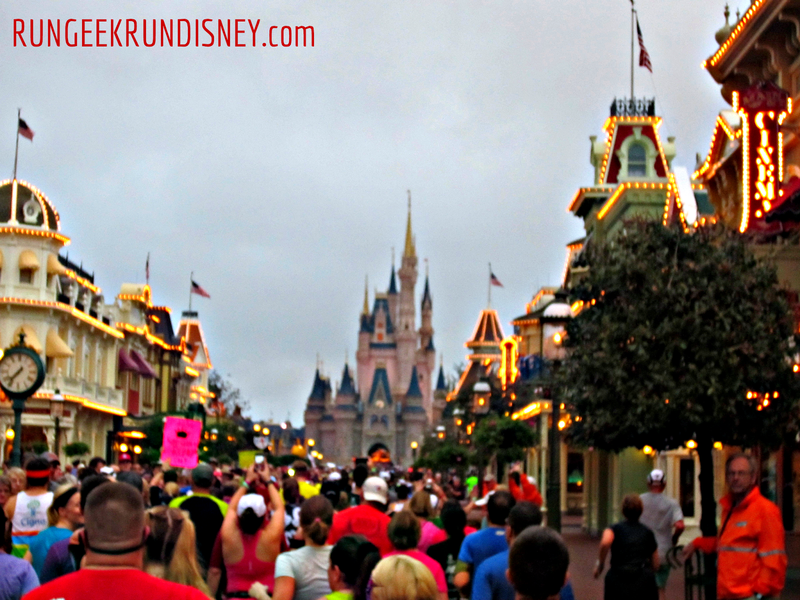 This weekend I decided I was finally going to get my review of the Walt Disney World Half Marathon on BibRave. 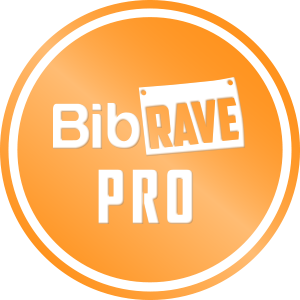 BibRave is a fantastic site where runners can review every aspect of races. 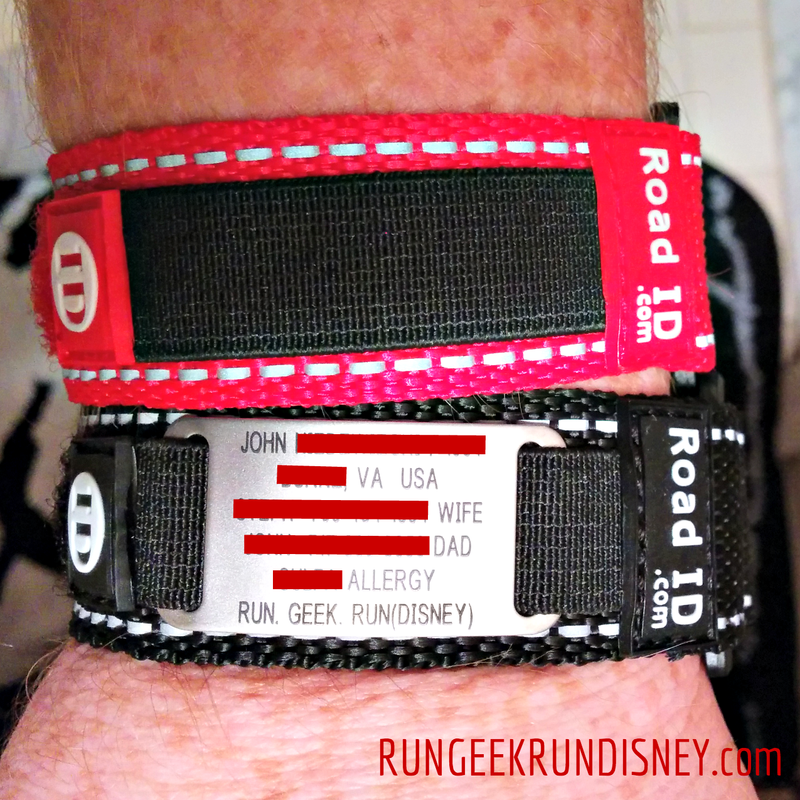 It's a great way to find new races or read up on ones before registration. 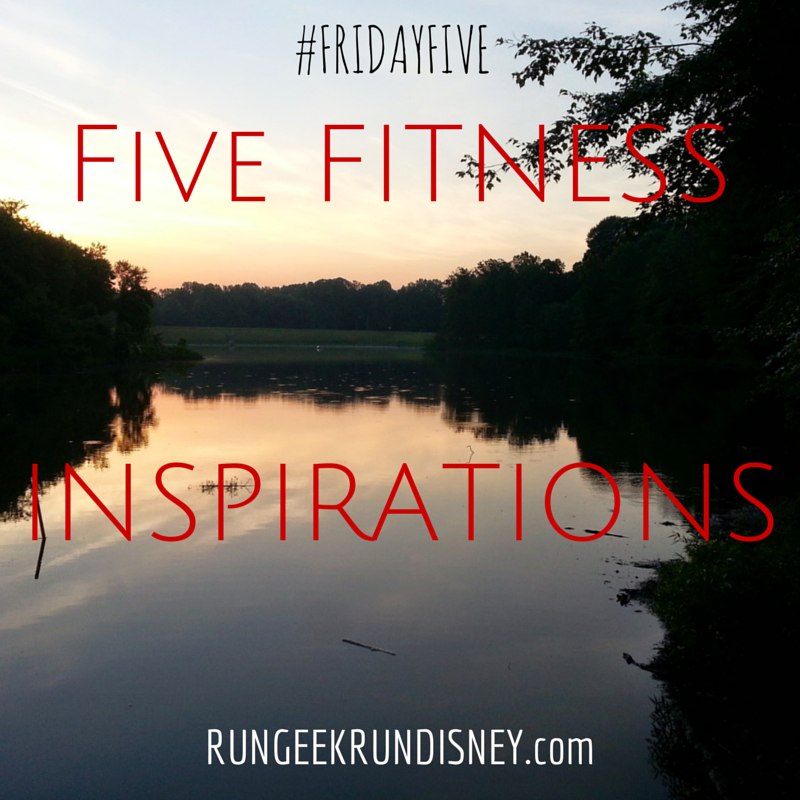 You can find my review of the Walt Disney World Half Marathon there, or view my profile for all my reviews. While writing my review I touched on my favorite part of the course, which I thought would be perfect to share with all of you. What was my favorite moment? You might think the likely most popular answer: running out through Cinderella Castle. If you thought that, you are wrong. 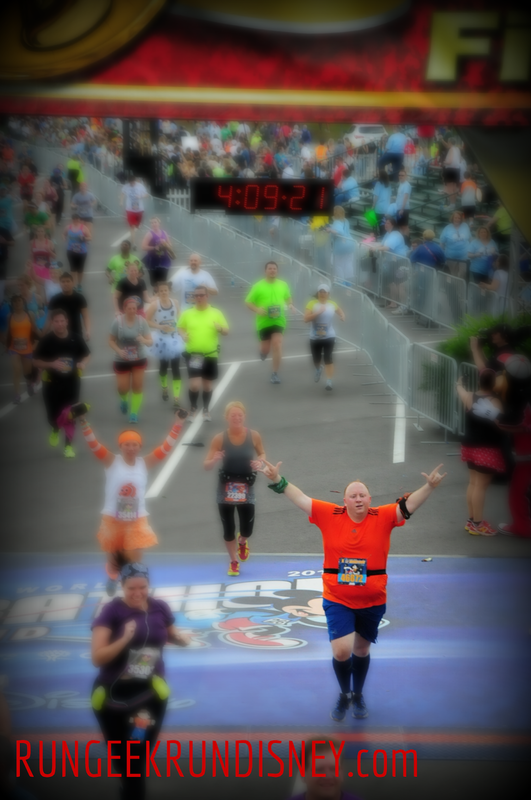 It was my first half marathon, so perhaps it was the finish line? Perhaps not. Maybe you're funny and you think it was one of only two hills and I loved the banked on ramp that we needed to run? You're hilarious and wrong. 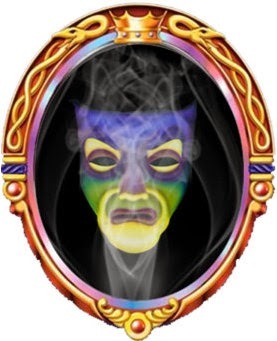 Was it meeting a particular hard-to-find character, such as the terror who flaps in the night, Darkwing Duck? Well, I didn't actually stop to meet him, but even if I did, still no. Well, spit it out already! 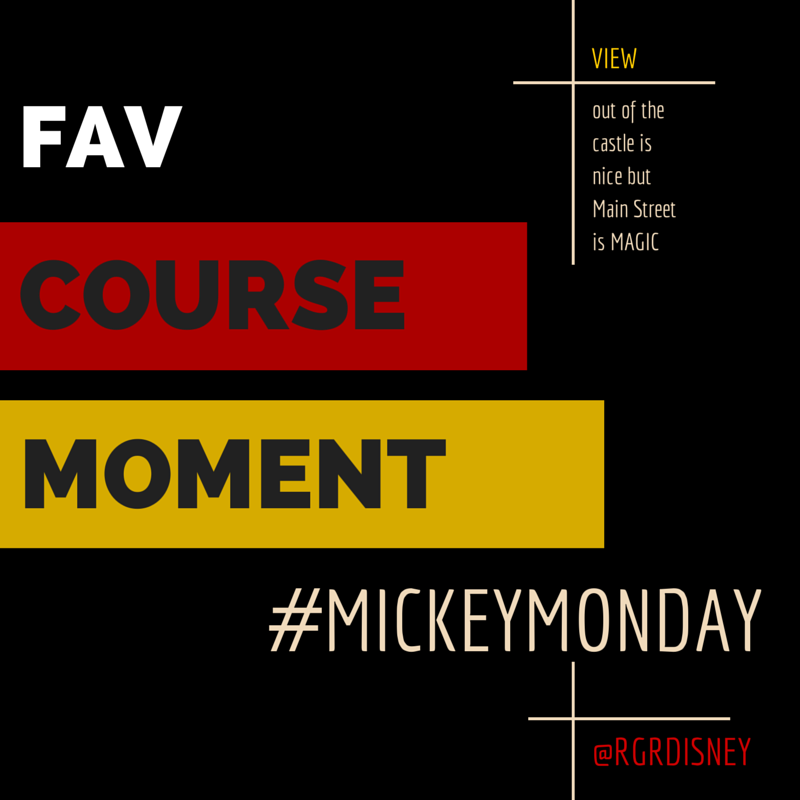 My favorite moment on the course was running "right down the middle of Main Street U.S.A." (bonus points if you sung that and have any clue about what you could possibly be singing that to). Sure, running out through Cinderella Castle was cool and there are a lot of people waiting out as you do so, but it just couldn't measure up to running out around that corner, down past the shops and seeing the castle out in front of you. It is such a magical moment. It is that part of the trip that always hits me the first time we do it every trip, only multiplied times a hundred. It was pretty uplifting and so gratifying to see. Running through pretty countryside, overlooking the ocean or down the streets of a famous part of a city is great, but this Disney boy has a soft spot for that view. It is hard to match. Stopping for a selfie with my running partner on Main Street U.S.A.